Growing up African American back and forth between the urban streets of Richmond, California and more rural Muskogee, Oklahoma (where the legacy of the Tulsa massacre lingers on), “social justice” was the water I drank and the air I breathed. There were three pillars on which my family’s faith and sacrifice stood: god, education, and family/community. My own poor health led me to spend a lot of isolated time with books as friends; stories of survival and hope, like Harriet Tubman’s story, especially called to me. Social justice to me is about the community of people affected by past oppression, the bonding with others to achieve equity and opportunity for the whole. My fragile health and the care received from others made me want to feel less like an invalid and to take my turn at healing others. The first idea was nursing, but I soon learned that nurses reach people “too late” to truly impact their quality of life. 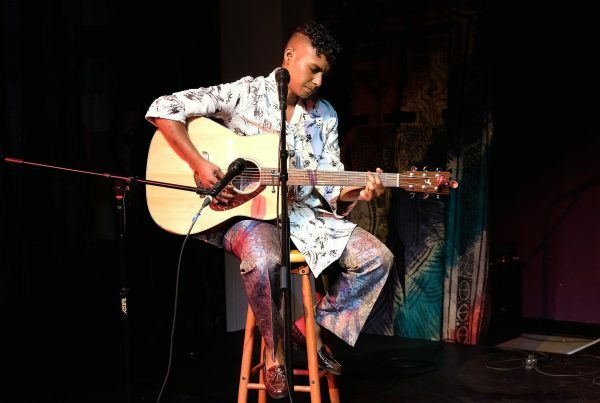 As a young adult, it reached my consciousness that there are racial disparities in terms of who is healthy and who is not, who gets care and who does not. From Western medicine and its emphasis on treating those already sick, I moved toward holistic practices that emphasize life experiences that prevent illness and promote wellness. By age 25, these practices cured my asthma, without the drugs doctors had prescribed since childhood. 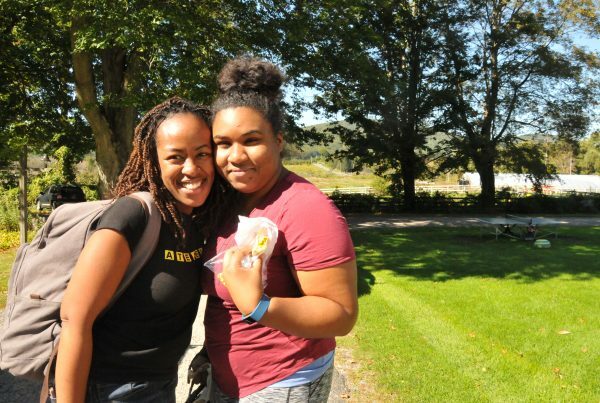 Up until college, I only had one teacher of color throughout my entire K-12 experience. At SF State, where I majored in community health education, my definition of leadership was influenced by professors of color who emphasized service to one’s own people. Quickly taking on “leadership” to tackle issues affecting children and adults living with sickle cell anemia – a disease most common amongst those of African descent – I became Coordinator of Northern California (Nocal) Regional Network of Sickle Cell Counseling Centers and Director of the Nocal Sickle Cell Summer Camp. Feedback from white supervisors (well-intentioned but with internalized racism) was that I was “taking too much initiative.” An African American woman wasn’t supposed to have too many ideas of her own, especially big bold ideas! Under the mentorship of African-American leaders Omowale Satterwhite, Florene Poyadue and Norma Thigpen and others, next I co-founded and served as ED of the Sickle Cell Community Health Network as a way to move those affected with sickle cell anemia out of the shadows, and to advocate for justice regarding medical research, treatment and access to social and economic support. By 2003, I had begun doing consulting work for other organizations and joined the National Community Development Institute. For six years, I worked for justice within diverse vulnerable communities. All seemed to be going well. But in 2009, the asthma came back. I was overweight and depressed. Overwork. Stress. Burnout! Decades of working for positive social change in unhealthy environments produced physical and emotional manifestations. I was again in need of healing! 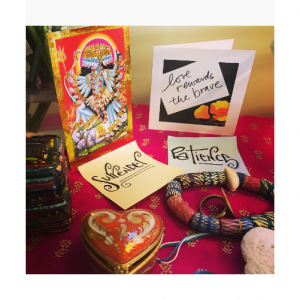 So I left a lucrative job and embarked on a personal healing journey. After a year, I had released 50 pounds through forgiveness and spiritual work, and childhood dreams of becoming a healer returned. Something made me go to Belize, where through a series of – was it destiny or a calling? – I learned and practiced Mayan traditions of holistic healing based on the use of the properties of plants and flowers combined with prayers and water to heal emotions. I began doing healing work with elders and youth in rural villages while continuing my own healing journey. My asthma went away. Having reclaimed the sweetness of life, I wanted to help others using the same mind-body-spirit tools that had healed me. On my return to the US, I founded Sweet Livity in the fall of 2011 to bring those tools to my own community. “Livity” is a Rastafarian word, meaning “your entire way of life is your medicine.” Sweet Livity is a life practice of reclaiming ancestral ways of being that draws strength and energy from life’s joys and sorrows with a sense of balance, aliveness, and well-being. The practice of Sweet Livity is to continually relate in harmony and health with ourselves, our community, and the environments in which we live, work and play. 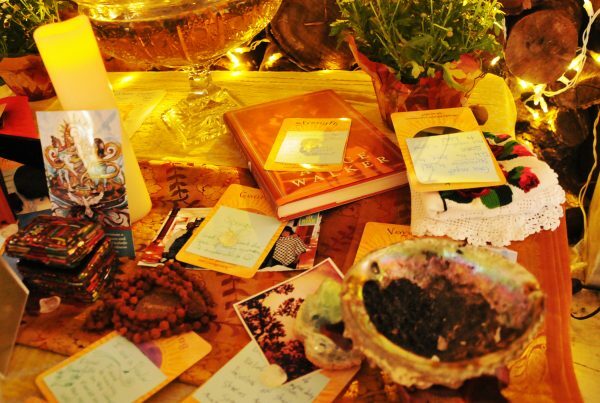 With a multicultural team of holistic practitioners and coaches, we teach healing strategies like chakra eating and dance, sound toning, meditation in nature, tension release exercises, clarity statements, and forgiveness of self and others to reduce stress, increase energy and inspire a renewed imagination and creativity. The aim is to help people transform the spaces where they live and work into supportive environments where they thrive and create better solutions to solve social problems without sacrificing their health and happiness. While working mainly with individuals, I have a growing interest and clientele in social justice organizations and networks. Our communities need ways to deal with the stress and trauma that comes from the emotional burden of working with people every day who are living in oppressive situations. Both individuals and organizations need healing, which is the process of rebuilding and regenerating a healthy way of living, by strengthening physiological, mental, social, emotional, cultural, economic, ecological and spiritual well-being. I am bringing this view point to my current work with the Standing in Our Power network, where I am blessed to serve as a coach and a participant. I am learning from SiOP and my other work that while everyone has a difficult time taking care of themselves and putting themselves first, women of color find it particularly hard to embrace holistic approaches that appear counter to ingrained values of “hard work” and “sacrifice for others”. Self-care is not their model of how to live life. Some of my first heroines, like Sojourner Truth and my own grandmothers Marie McInham Elliott and Bertie Mae Lee, spent their lives in the service of others. We don’t want to dishonor our ancestors by seeming to focus on self. But women need to build both their internal resources and external support systems so that they can constantly replenish their own “cup,” from which they can serve others. If the cup gets emptied, there is nothing to give. If the cup overflows with abundance resulting from self-love and self-care, then one day your abundance is so overflowing you can give from your saucer and your cup. You never have to be empty again! One of the simple and lovely ways to re-fill our cups is to spend time close to nature. If you are deep in the concrete and asphalt, even a picture can help: pictures of water or sounds of birds or flowing water are particularly centering. We are over 90% water, and water calls you back to yourself. By being still, simply seeing and listening to nature, we can both escape our bodily boundaries and touch deeply our own inner healing. For more ideas on how to have more Sweet Livity in your work and daily life, I invite you to visit our website at www.sweetlivity.com. 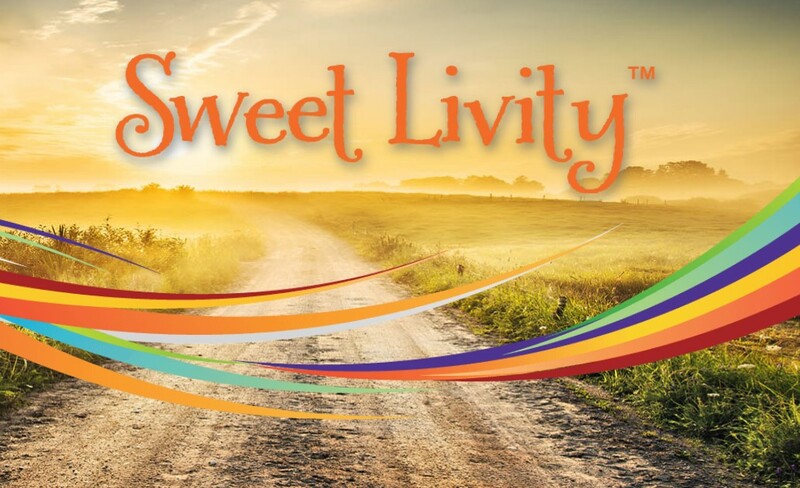 Sweet Livity: the way you live can heal you!